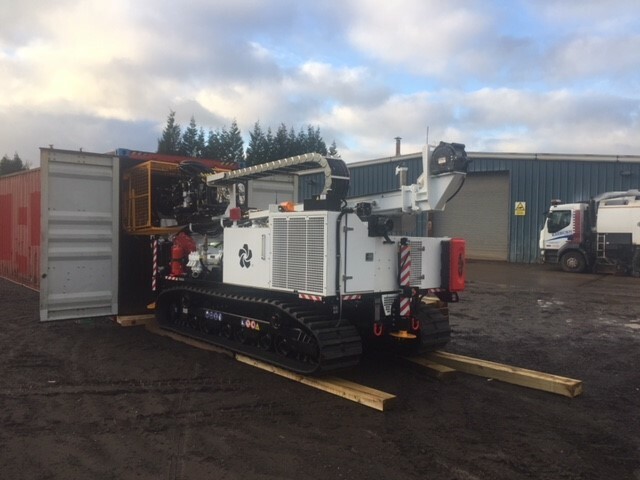 Arrival of 4th Sonic Rig Raeburn Drilling & Geotechnical Ltd are delighted to announce the arrival of their 4th Sonic Drilling Rig. All 4 of RDG’s Sonic Drilling Rigs are of the same model (LS250) and paired with low ground pressure support vehicles allowing our rigs to work in the most remote and inaccessible locations. The LS250’s are compact Sonic Drilling Rigs that can comfortably fit into a 40ft shipping container along with tooling which allows the rig to be shipped worldwide. It is also capable of being moved on one of RDG’s low loaders to any sites in the UK and Europe. The Sonic Drilling technique is ideal for all manner of ground investigations, particularly geotechnical and environmental investigations. All enquiries are welcome and should be directed to us.